WINNIPEG, Manitoba (AP) — Connor Hellebuyck’s Winnipeg Jets teammates got more evidence the rookie goalie has a bright future. 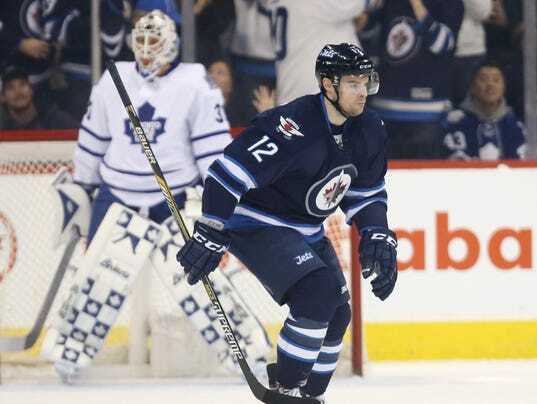 Hellebuyck stopped 32 shots and Drew Stafford scored twice to lead the Jets to a 6-1 victory over the Toronto Maple Leafs on Wednesday night. It was the 22-year-old Hellebuyck’s second NHL game, and followed up a 3-1 victory against Minnesota last Friday night. Andrew Ladd, Bryan Little and Anthony Peluso also scored for the Jets, and Mathieu Perrault also had two assists.